Levi and Sunny, a 20-year-old teacher Sunny Oglesby tied the knot in front of over 100 close friends and family members. Levi Johnston, Bristol Palin's ex, says "I do" to mother of baby Breeze Beretta. 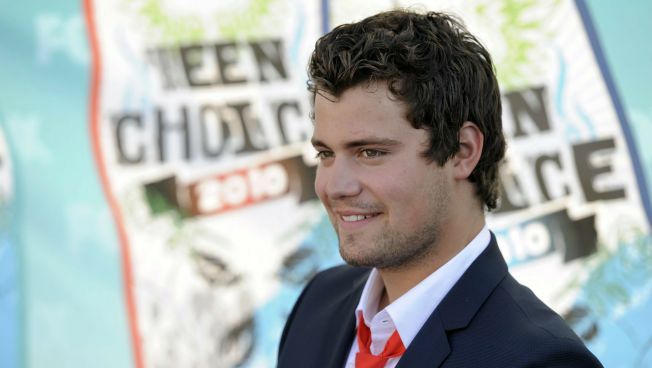 Sad news for Mama Grizzlies everywhere: Levi Johnston is a married man. Bristol Palin's ex-fianc said "I do" Sunday evening to Sunny Oglesby in Alaska in front of over 100 close friends and family members, Us Weekly reports. Levi and Sunny, a 20-year-old teacher, welcomed daughter Breeze Beretta, named after the firearm, in September. Levi, 22, also has a 4-year-old son, Tripp, from his relationship with Bristol. And while Sarah Palin's Dancing With the Stars daughter and Levi have had a contentious relationship in the past, they seem to have patched things up. When Levi and Sunny welcomed baby Breeze, Bristol told E! News she "sent them some flowers today when I heard the news!" Bristol also said she "[wishes] them the best. Tripp will be excited to hold her!" Check out more beautiful celebrity weddings!